Once Again Gracie Barra is Ranked as the #1 Competition Team in the World! Congrats to everyone who represented the Red Shield! Congratulations to the 7 students that competed this weekend at the First Rickson Gracie cup in Albany New York! Congratulations to the 7 students that competed this weekend at the First Rickson Gracie cup in Albany New York. Our academy took Home the most medals in the Montreal and Surrounding areas with a total of 5 Golds and 5 Silvers!!! Impressive feat to say the least, Congrats to Everyone who Represented the Red Shield! Try A Free Trial Class At Gracie Barra West Island for a chance to win a New Ipad Air2! Gracie Barra Caps off their 2016 tournament season by taking 1st place overall in the most prestigious BJJ tournament in Quebec! 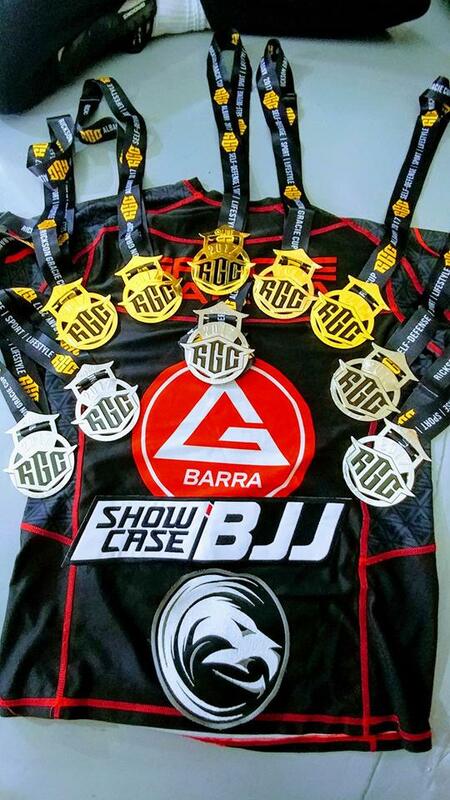 Gracie Barra Caps off their 2016 tournament season by taking 1st place overall in the most prestigious BJJ tournament in Quebec! Congrats to Everyone who represented the Red Shield at the IbJJF Montreal Open! Jiu Jitsu For Everyone! 1st and Save 15% off all Adventure Camp Packages. Call 514-675-7772 or Email gbwestisland@hotmail.ca for Information! The best in the west! Great school, great instructors, luxurious coaches! Everyone is very friendly and super happy to help out. I couldn't be happier training here. I have tried multiple bjj schools in and around montreal and this place is by far my favourite one I attended. If you want to learn something new and get in the best shape of your life at the same time, this is the place you absolutely need to try! Coaches are very competent and helpful as well. Give it a try, you definetly will not be disappointed! Great BJJ school (best in the west) Teachers and training partners are very friendly and are all here to help each other increase their knowledge and their capacity to defend themselves. Prepare yourself because you're in for a ride! Great academy for all skill levels; from children up to high level competitors. Owner/ Head Instructor Glen MacKenzie does a great job getting the word out, and organizing events. Lots of great training partners as well. One of the best grappling gym in montreal. Home of some of the best up amd coming grapplers in canada. Great vibes, great team, great instructors. It's not your average gym. The workouts are well worth your time. The community aspect is excellent. Everyone's here to help and you become part of a new family in the process. Focused and dedicated, classes are always full of learning, enjoyment and confidence building. Great place for anyone new or advanced.